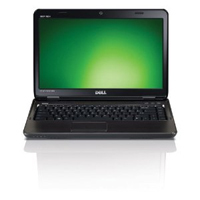 The Dell Inspiron line has been around for a while and seems to get better each year. This model is one of the top laptops on Amazon and for a reason. 14” LED Backlit display with a native 720P resolution. 2.3 GHZ core i3-2350M processor, 500GB Sata Hard Drive, 6GB of DDR3 RAM, Intel HD 3000 Graphics, 2 blazing fast USB 3.0 ports, 1 standard USB 2.0 port, HDMI port, VGA video out put, 8-in-1 card reader, and it goes on! This laptop is jam packed and fast. 6GB of RAM in a laptop is unique and not found that often. More RAM means better multi-tasking on your laptop. Writing papers and researching at the same time, with iTunes open listening to music, chatting to friends on AIM. This laptop is powerful and quality built. It’s about 5.3lbs and has built in Wifi-N – this laptop is blazing fast and easy to connect online. 6GB of Ram is awesome!